This is a long oo word sort. No cut and paste. 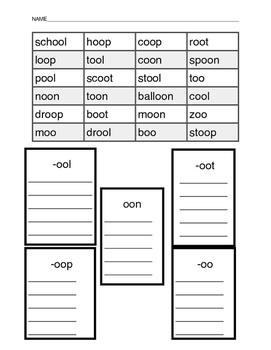 Students can sort oo words into 5 different categories.